Placeholders like bells? 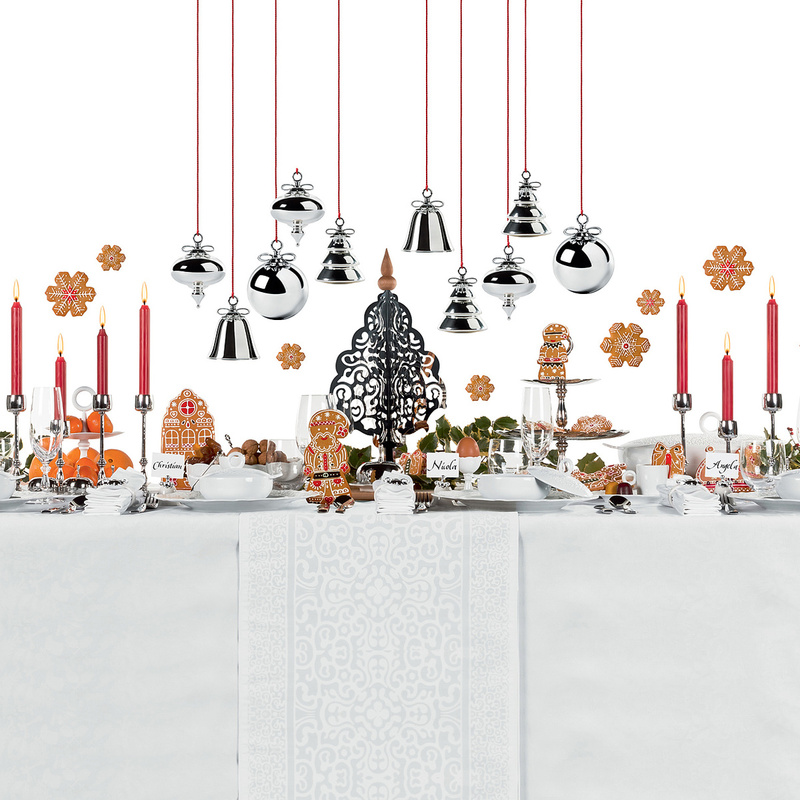 Alessi has the right solution for you: the Dressed Xmas placeholders line. During Christmas time there is nothing better than spending a little time with your family and loved ones. You could spend your time with them just by sitting at table and enjoy a meal with them, on a table set with elegance and style. 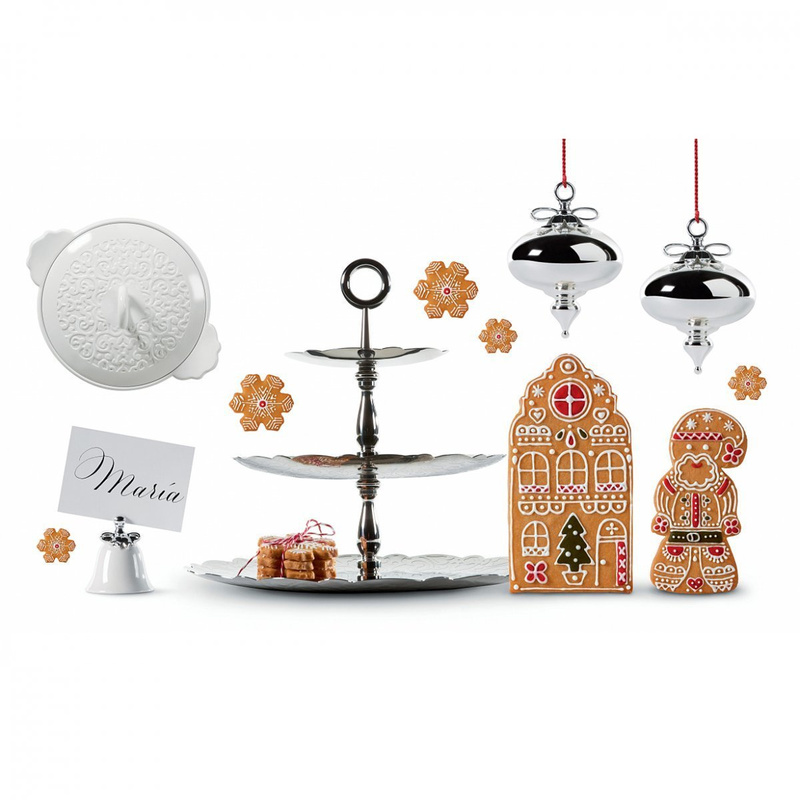 The 4 Dressed Xmas placeholders by Alessi are a bell-shaped decoration and are made of white ceramic. 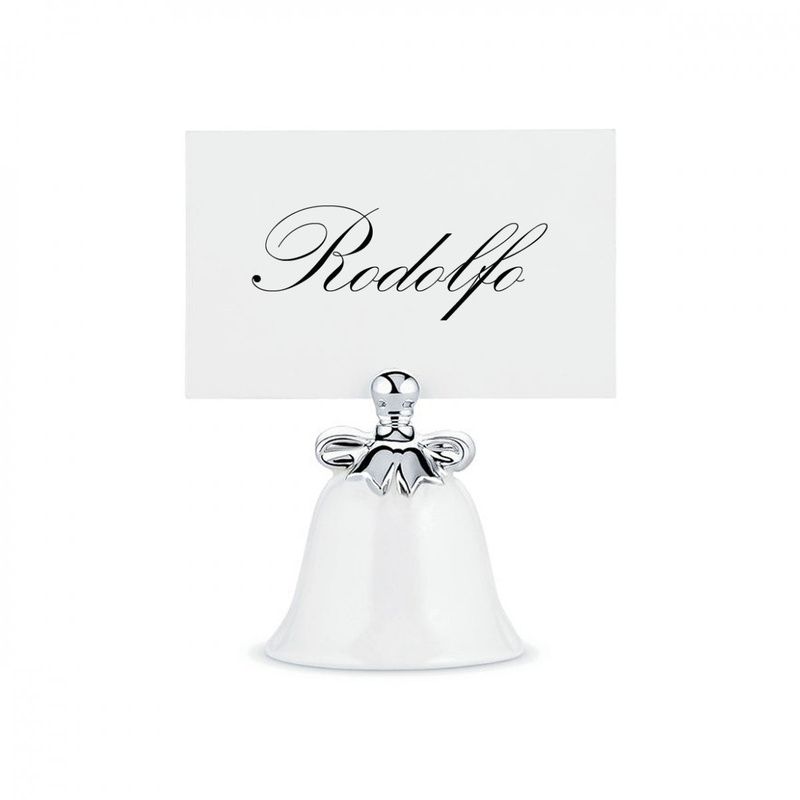 The diner name is written on the note in the paper to be fixed at the same chromed bell. Using these 4 Dressed Xmas placeholders the Christmas atmosphere is at doors. Their design is inspired by the bells used to decorate Christmas trees, by those that ring to celebrate Christ on December 25 and by bells jingling on Santa's sleigh. Placeholders, when not used for their main purpose, can become funny Christmas ornaments to be shown to your guests. When you use this set of four placeholders, it is advisable to use a linen or cotton tablecloth, preferably red, burgundy or blue. Fabrics with small decorations are allowed to, but it would be better to avoid big decorative patterns. These placeholders are particularly refined and beautiful to see. 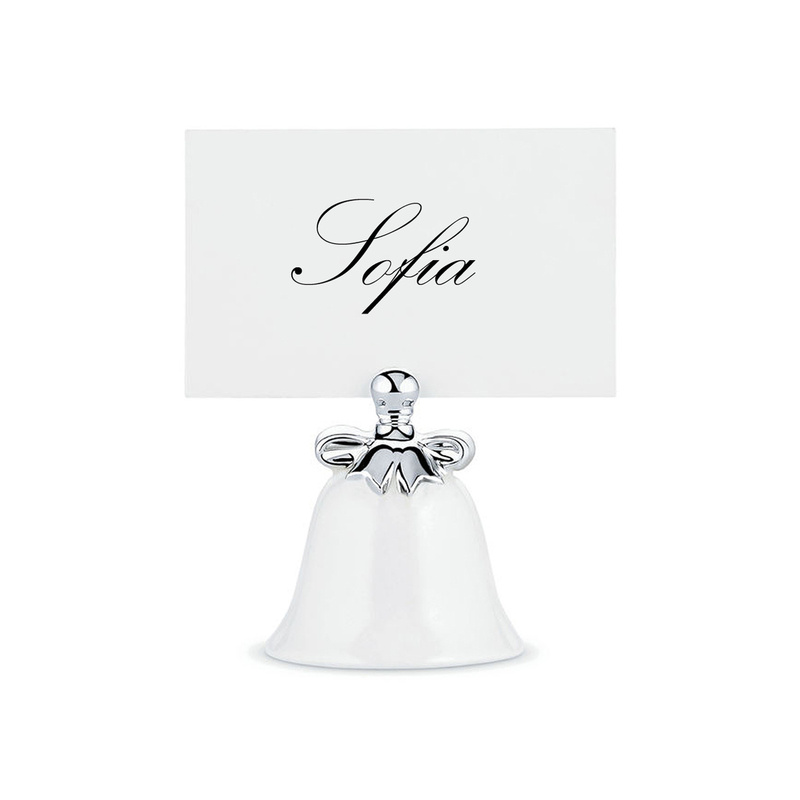 Place them on the dinner table with the names of guests, so that they will not have any doubt about where to sit. 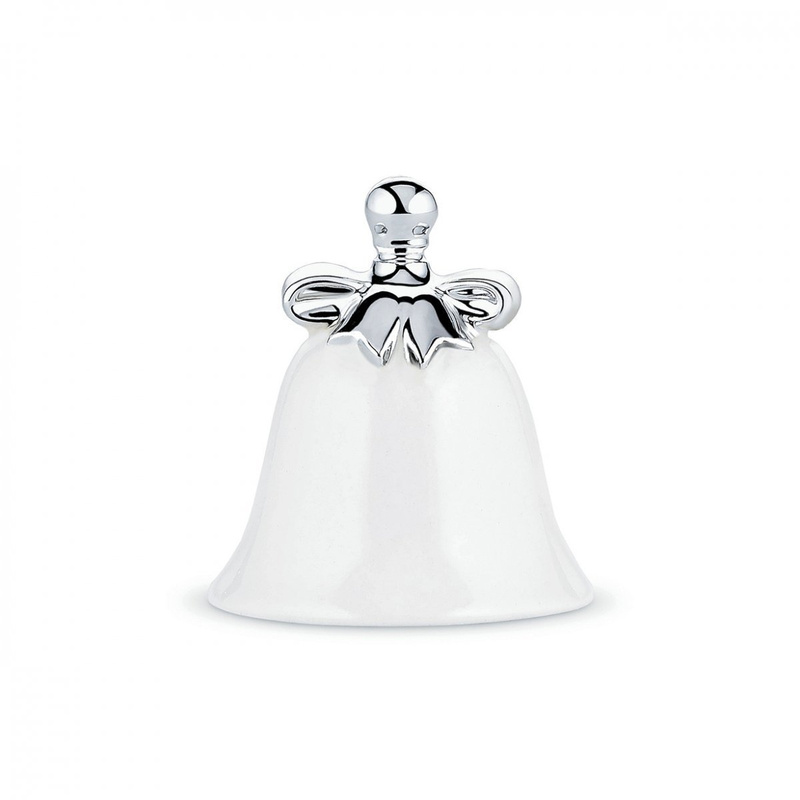 These placeholder bells were designed by the Dutch designer Marcel Wanders, who always manages to come up with innovative, elegant and stylish shapes for everyday objects. 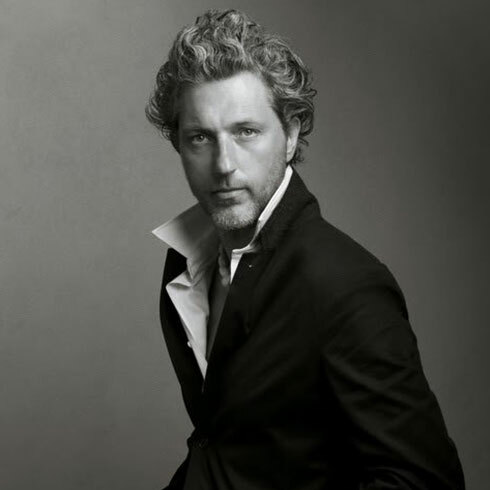 Its simple and unique style makes it easy to recognize all of his ideas turned into reality. Care information: exposure to direct flame and to any type of hob (induction, gas, electric) and use in oven, microwave and refrigerator is not recommended; dishwasher safe.